So this is where I pretend I know about the World Cup and am really excited about it...well, I know it's happening and I used to be really into football but not so much any more but since Bank Fashion are running a competition on Instagram with Barry M for the best World Cup nail art, I thought I may as well try my hand at some. I had a bit of trouble decided on a team to represent, not wanting to go for a team everyone might do (say, the USA) and I wanted to do something that you might have to look at twice before you realised it was actually football related. Then, I had an epiphany! One of my friends (if he's reading this, he should know who he is), along with some of his mates back home, started a Mexico Supporter's Club during the last world cup and they are all VERY enthusiastic when it comes to the team so I thought I'd take inspiration from the Mexican Home and Away kits since they are quite graphic and abstract but still carry the national colours. I know my line work could be a LOT better but I wanted to try and get the lines as fine as possible. 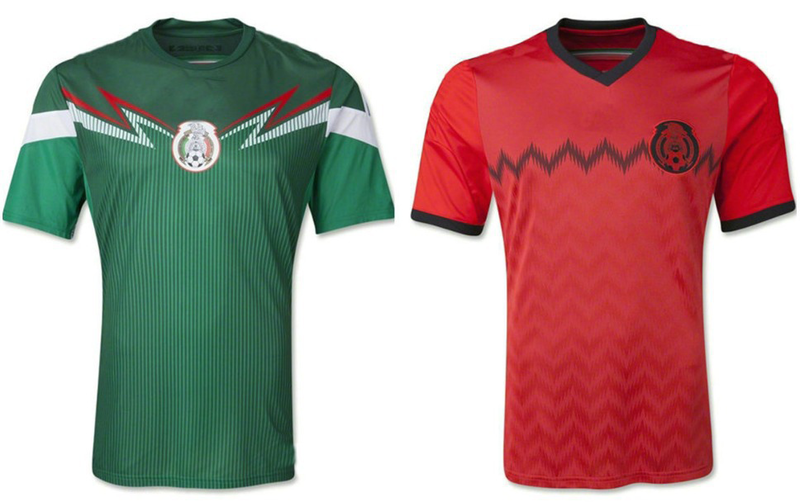 Like I said before, these don't immediately scream MEXICO or football at you but seen side by side with their inspiration, I think you can see the transition. These are really pretty. 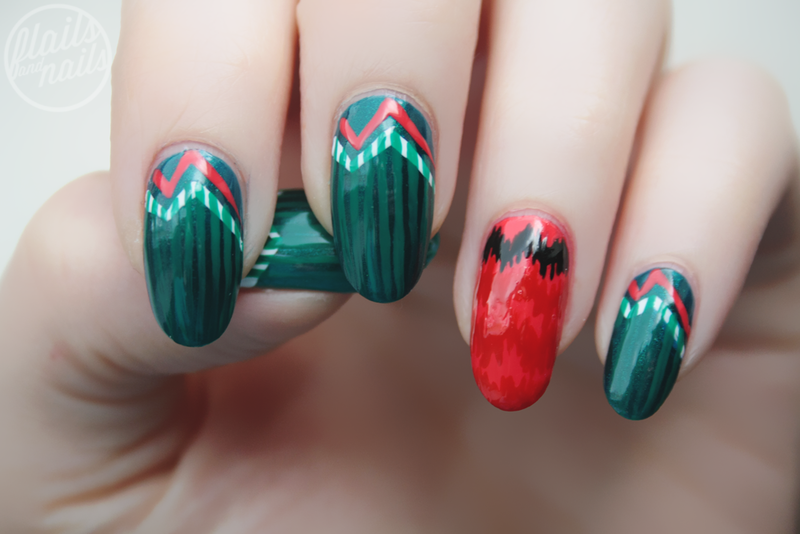 And so different from most of the world cup nails I've seen. I love any and all comments on my blog...except spam, no one likes that, so don't be that guy! All content is copyright of Flails and Nails. Social media icons are by Carrie Loves. Powered by Blogger. 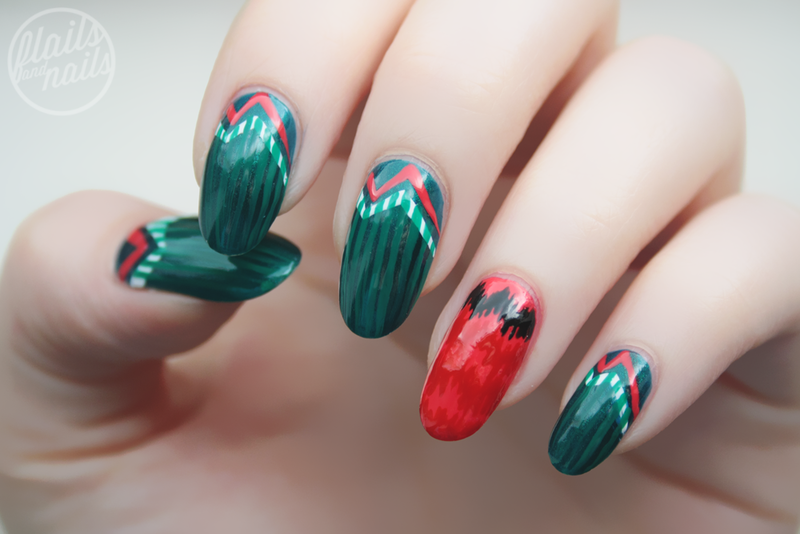 © Flails and Nails. All rights reserved.